A wonderfully, heart-warming story of a loving marriage between grumpy pensioner Arthur (Terence Stamp) and the ever-cheerful Marion (Vanessa Redgrave). Cantankerous but doting husband Arthur does not share his wife Marion’s passion for performing. While she is happy to sing her heart out with the unconventional local choir, Arthur would prefer to hide himself away and complain about how embarrassing it all is. But when heartbreak strikes, Arthur is forced to re-think his outlook on life. 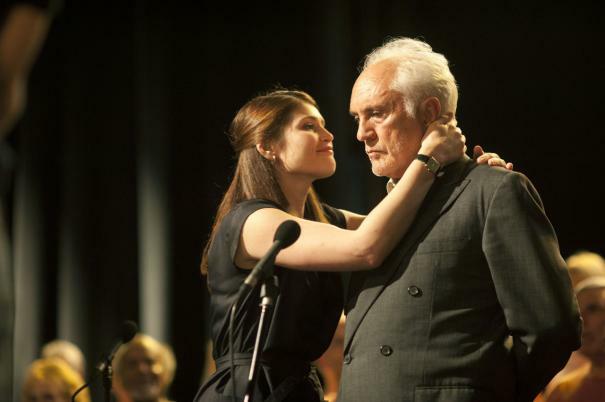 With the steady perseverance of choir director Elizabeth (Gemma Arterton), Arthur begins to find a way to come out of his shell and in the process forms a touching relationship with Elizabeth as well as a desire to build bridges with his estranged son James (Christopher Eccleston).